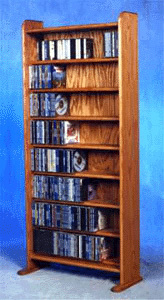 Capacities: 280 DVDs. 280 BluRays. 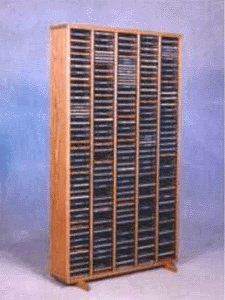 147 VHS Tapes. 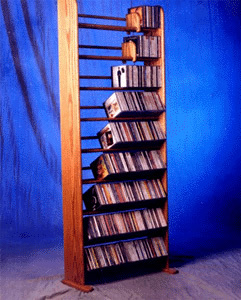 I've purchased half a dozen of these racks over the last few years. Very well made. 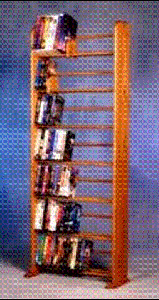 I do wish that the two wooden sliding dividers/spacers on the top rack were easily removable. In any case, the rack is a fine product. Sturdy, attractive, and well-designed. Service has been fast, professional, and reliable.